100% up to $250 Roulette bonus. Deposit & bonus must be wagered 30x to clear. Enter FREE250 when making a deposit. If you love spinning the roulette wheel, then Party Poker has got the right bonus code for you: Free250. Enter this code when making a deposit to get a 100% bonus up to $250. You’ll need to roll over the bonus funds plus deposit amount 30 times before requesting a withdrawal. So if you deposit $250 and get a bonus of $250, then you’ll need to place bets equaling ($250 + $250) * 30 = $15,000 before requesting a payout. If you place bets averaging $10 each time, it will take you 1,500 spins of the wheel until your bonus is cleared. This bonus can ONLY be wagered in roulette and live dealer roulette. Moreover, bets placed on red, black, 1-18, and 19-36 will not count towards the playthrough requirements. A 100% up to £300 offer awaits roulette players at William Hill. To clear, you must wager 30x the deposit and bonus amount, but medium coverage bets (25.1% – 48% of the table covered) only count for a quarter, and low coverage wagers (25% or less of the table covered) only count one-half. High coverage bets (covering more than 48% of the layout) don’t count at all. Therefore, the effective WR for roulette is between 60x and 120x. If you stick exclusively to low coverage plays, the full bonus amount would require you to bet £600 * 60 = £36,000 before cashing out. If you are looking to bet £25 per spin, this would take you 1,440 spins. Bonus must be earned within 7 days and is sticky (non-cashable). Don’t make “opposite” bets, like red and black at the same time, or your bonus will most likely be removed. Roulette is a casino game in which one or more players compete against the casino, or “house.” A small ball is spun around a spinning wheel, which consists of 37 (European roulette) or 38 (American roulette) red, black, and green (zero) colored pockets. The ball will eventually slow down and fall into one of the aforementioned pockets. Players can places bets on single numbers, several numbers, whether the number is odd or even, the colors black or red, as well as specific rows of numbers. Before placing bets on a roulette table, it’s important to first understand the rules. Here is a regular, European-style roulette table without any bets. European Roulette TableThe goal of the player is to correctly guess what slot the ball will land in. There are various bets that can be made on the table, and different odds for each. Players place their bets on the table and then a croupier (casino worker) will spin the ball. During this time, bets can still be placed. 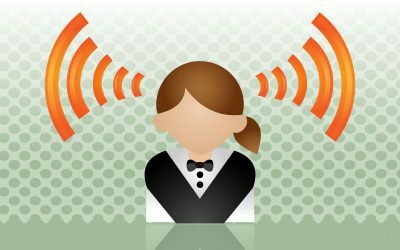 While the ball is spinning, he/she will eventually signal that “no more bets” can be made. In the online world, the player chooses to begin the action by clicking the “spin” button. In our example photo, this is in the bottom left-hand corner. 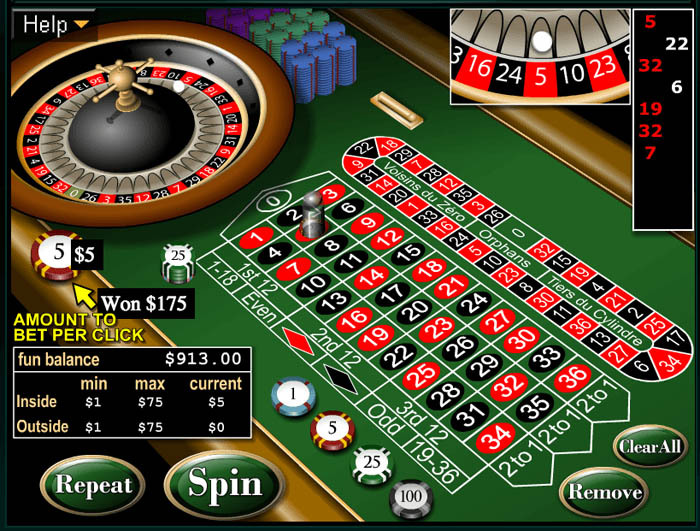 During online play, a player cannot place more bets while the wheel is spinning. When a winning number/color is shown, the croupier (virtual or real-life) will place a marker on that winning number on the table. The previous winning numbers/colors will be shown on a small box off to the side. In this case, it’s in the upper right-hand corner. It’s important to note that, in most cases, all the winning chips will remain on the board after a spin, so please make sure to collect your winnings before pressing Spin again! Roulette Winning Spin: Collect Your Winnings! Unlike most other table games you would encounter at a casino, roulette offers a variety of different betting options. Players can place bets on a specific number that the ball will land on. In this instance, the player has placed bets on 7, 17, and 25. If one of these numbers wins, it will pay out 35:1. Players playing European roulette can bet the number 0, while players using American roulette can bet both 0 and 00. Players can also place bets on a small group of numbers that are close together on the board. There are several different kinds of these bets. Players can place bets on the “outside” of the table, which allows them to select alternative options. Even or Odd BetColumn Betting: Betting on one of the three columns that cover 12 numbers. (Pays 2:1). High or Low BetThere is typically a minimum and maximum bet per table, and they are usually different for a player’s inside and outside bets. In most cases, the outside bets have a higher minimum. Unlike games like poker and blackjack, roulette is mainly just a luck-based game. That being said, here are a few tips and tricks you can learn to improve your chances. Outside of some silly sense of nationalism, there is no reason to play American roulette over European roulette. While European roulette contains the number “zero,” American roulette also contains a “double zero,” which reduces your odds and more than doubles the house advantage. American roulette gives the house an extra 2.56%, which means you will be expecting to lose that much more per bet. Almost all online casinos offer both variations, so make sure to select European! Sure, it might pay better if you can hit a single number or two, but your odds of hitting a specific number are 37:1—don’t go putting your whole bankroll on long odds. Remember, you wouldn’t shove all-in playing poker as a 2.7% underdog, now would you? Better to bet big on the outside, where bets like black, red, odd, even, 1 to 18, or 19 to 36 offer you nearly a 50/50 chance of winning. New players are turned off by the higher betting requirements and don’t realize that it’s easier to win by playing the outside. In a real-life, brick and mortar casino, you know that it’s safe, secure, and legitimate. With online casinos, however, there are hundreds of different sites to choose from, and not all of them may be honest. Also, some online casinos have terms and conditions that pretty much black ball roulette players entirely. Some of these casinos may have something like “…any play on roulette voids all winnings…” hidden in their bonus terms. Check out #3 for our favorite spots to play roulette online and are friendly to roulette bonus hunters. Just because it hit red 10x in a row, does NOT mean it’s more likely to hit black next spin. Many players make this common mistake. Just remember: roulette is random, and nothing that happened previously will affect what will happen in the future. This is especially true for online roulette, which uses a random number generator, not physics, to determine the outcome of every single spin. This is a system of betting where you double your bet when you lose, and keep doubling it until you win. It’s best to do this on the 50/50 outside bets. So for example, you bet $1 on red and lose, next spin you would bet $2. If you lose again, you bet $4, $8, $16, $32, etc. Although this doesn’t give you an edge, and can be quite risky, it’s a fun way to play so long as you have a stop loss in place and gamble responsibly. I’ve seen someone attempting this lose 8 times in a row, so the bet amount can get rather high! 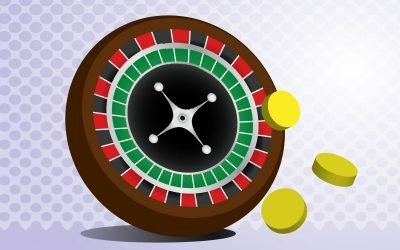 With so many different sites and programs to choose from, finding the best place to play online roulette can be tricky, but that’s why you’re reading this! For gamblers residing outside of the US, our favorite spot to play is Party Casino. The software is available both as a download and through the browser-based “instant play” option. 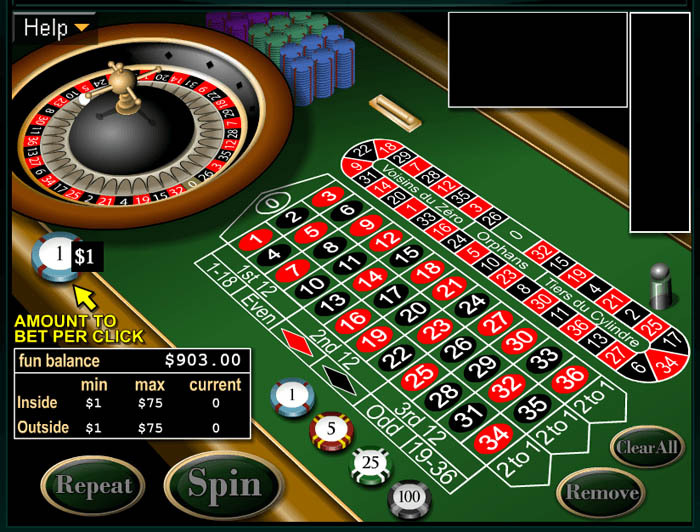 Party Casino offers the standard European and American versions of roulette, as well as several specialty versions, including Marvel Roulette, Multi Wheel Roulette, Mini Roulette, and Roulette Pro. Want to learn more? Read our full review of Party Casino! Curious about the difference between inside and outside bets in roulette? You’ve come to the right place to learn what high-risk and low-risk bets are in the exiting game of luck! Look over these tips and keep them nearby when you play American roulette or European roulette!